If for any reason the pulp space is exposed to the outside, the tissue becomes contaminated and eventually infected. The exposure of pulp happens in many circumstances, for example when patients have a large cavity or a fractured tooth. Dr. Lurie can explain the exact reason for damage to this tissue. 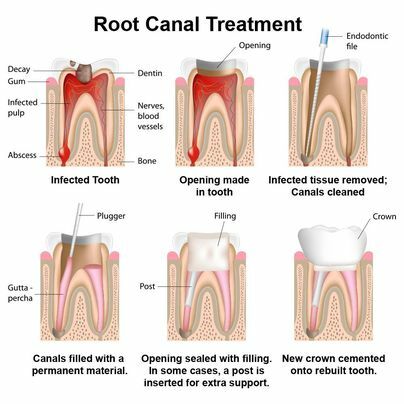 Regardless of the reason for this contamination or damage to pulp tissue, the treatment is usually root canal therapy. 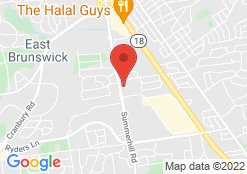 Now-a-days, root canal treatments are performed with advanced techniques and material and are more comfortable and faster. After root canal therapy is done, Dr. Lurie may need to place a crown on the tooth to protect it against fracture. 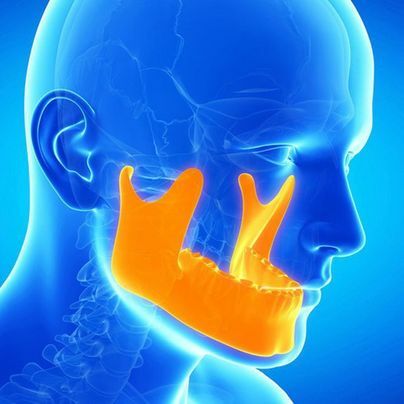 TMJ is the joint that connects the lower and upper jaw (skull). The terms TMJ stands for temporo-mandibular joint. This is one the most complicated joints of the whole body. It allows forward and backward motion as well as rotations and side to side movements. Diagnosis of such conditions and evaluation of causes are done by dentists experienced in TMJ problems and treatments. Some common treatments are night guards, bite adjustments, and even orthodontics. Dr. Lurie will be able to guide patients toward the best treatment for their needs. Sealants are thin layers of resin that are usually placed in the pits, fissures, and grooves of permanent molars to help prevent decay on these surfaces. The majority of decay on back teeth starts in grooves and pits of chewing surfaces, especially during the first few years after their eruption. Sealing these surfaces with composite resins prevents these kinds of decay. Sealants are one of the most effective methods of preventing decay on the surfaces where they are placed. Although it is still a possibility that decay may happen on surfaces in between the teeth, sealants significantly reduce the overall chance of getting cavities. Dr. Lurie takes a comprehensive approach to every patient's dental care. Reach out today to take advantage of the many general dentistry services he offers.